According to a press release from Full Tilt Poker all tournaments that take place on the site will now have guaranteed prize pools. This change will take place starting February 25th. Along with this big change FTP will also be revamping almost every single category of tournament on the site to better align with player needs. Players will also start to see a brand new poker lobby starting in the middle of March which will allow players to more easily navigate and join tournaments. The new tournament schedule will offer the biggest range of games for players from 8-30 Rush tournaments, 15-20 multi-entry events, 10-15 re-entry tournaments, and 6-8 multi-chance tournaments per day. 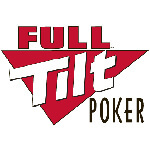 DUBLIN, February 22 2013 – Full Tilt Poker is completely revamping its tournaments schedule to become the only online poker site in the world to offer prize pool guarantees on every single tournament. During March, Full Tilt Poker will guarantee more than $25 million in tournament prize pools and will feature a full selection of satellites to allow smaller stakes players more chances to qualify for all the big guarantee events. The new schedule, which starts February 25, features a staggeringly diverse range of tournaments including, exclusive to Full Tilt Poker, 28-30 Rush tournaments, 15-20 multi-entry events, 10-15 re-entry tournaments, and 6-8 multi-chance tournaments per day. Full Tilt Poker will also feature at least one guaranteed tournament every ten minutes and up to 225 guaranteed cash tournaments every single day. From mid-March a brand new tournament lobby will make it even easier for players to find all the tournaments they’re interested in – as well as two new unique tournament formats. Full Tilt Poker already offers one of the largest selection of tournaments of any online poker site, including regular re-entry, multi-entry, Rush, Knockout, Super Turbos, rebuy, Double Chance and Triple Chance tourneys. 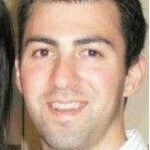 Sarne Lightman, Head of Marketing at Full Tilt Poker, said: “From Rush tournaments to multi-entry events, Full Tilt Poker has always been the market leader in providing players with a huge range of diverse and innovative tournaments. A full list of all Full Tilt Poker’s upcoming tournaments is available both in the game software and on the Full Tilt website (http://www.fulltiltpoker.com/promotions/weekly-guarantee-poker-tournaments). FullTiltPoker.com is a leading poker brand known for delivering the most authentic online poker experience in the world. Full Tilt Poker’s innovative software, game design and game play make it the online home for serious poker players. Full Tilt Poker was re-launched in November 2012 by The Rational Group, which also operates PokerStars, the world’s largest online poker site. Full Tilt Poker operates globally under license from the Isle of Man, which provides rigorous regulatory oversight and deploys the best practices in ensuring player fund protection and the security and integrity of online poker.